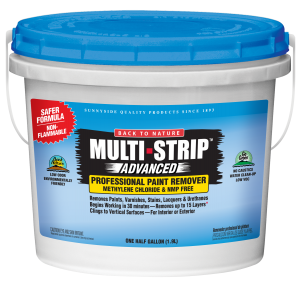 Multi-Strip ADVANCED is a unique, environmentally friendly safe paint remover that is designed to remove up to 15 layers of paint and varnish. A lighter coat will remove 1 to 4 layers quickly while a heavier coat will remove multiple layers over time. It is biodegradable, non-flammable, low odor and contains no Methylene Chloride, NMP or Caustic. It can be brushed, rolled or sprayed on with an airless paint sprayer. 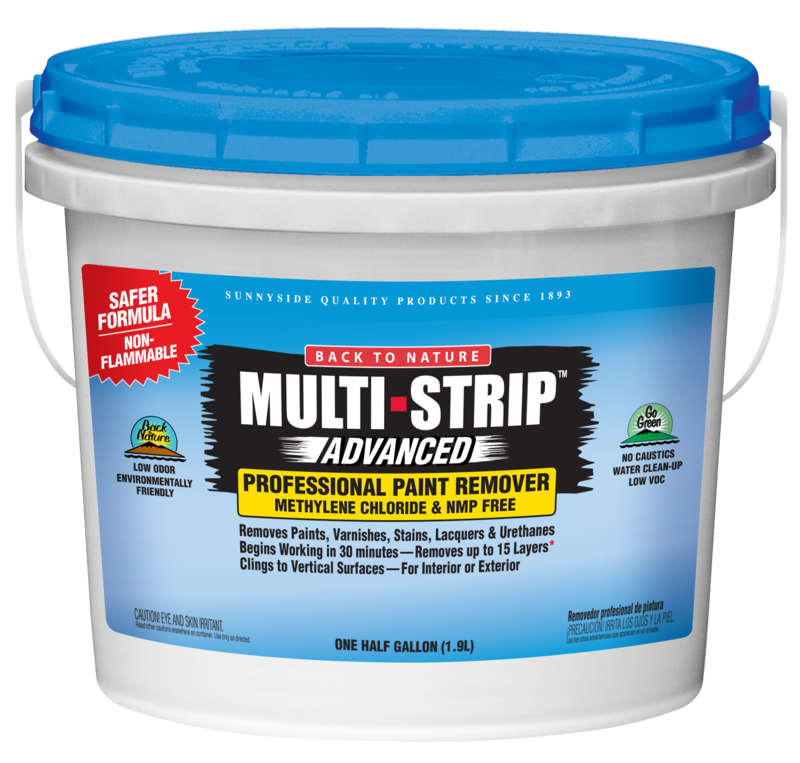 Multi-Strip removes most varieties of paints and varnishes which are oil or water-based. Unlike other removers it can remove more difficult coatings such as two part epoxy and urethanes. Multi-Strip ADVANCED works on interior and exterior surfaces. Unit Height: 5.06 in. Unit Width: 5.07 in. Unit Depth: 5.07 in. Unit Weight: 2.5 lbs. Case Height: 5.38 in. Case Width: 15.44 in. Case Depth: 10.19 in. Case Weight: 15 lbs.